Acadia Construction is dedicated to giving you our full attention from the design & planning stages, through the final, finished home renovation that you have envisioned. Honesty, Integrity & High-Quality Work is our minimum standard, after thirty years of education & experience in Home Renovations & New Construction. Miramar Kitchen and Bath is a general contractor who has been remodeling bathrooms and kitchens in San Diego since 1991. Our professional team will help you create beautiful spaces; our highly regarded installers and estimators provide complete project management services. The result: added value and enjoyment. Our design center is open 5 days a week and showcases the products we use and the quality of work we do for one-stop shopping. That way there is no need for you to run all over town to find the materials you need for your bathroom and kitchen remodel. Contact us to discuss the possibilities or visit our portfolio to see what a difference can make. When the people of Del Mar want to turn their current house into the home of their dreams, they turn to Rendon Construction Inc. We have years of experience in the home improvement and remodeling industries, and we are confident we can create the space you’ve always wanted. We are happy to walk you through your options to ensure that you get exactly the look you want. Choose from a variety of products, styles and designs for your Del Mar remodeling project. 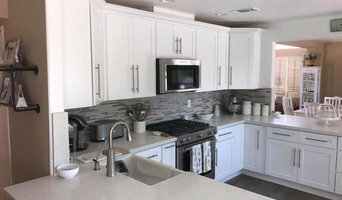 Servicing San Diego since 2005, HPC specializes in custom kitchen and bathroom remodels and light construction services. We deliver the highest quality craftsmanship with attention to detail and a commitment to excellence in every home or business. We have a solid reputation of professionalism, working with our clients to meet their needs while staying within budget, and completing jobs within the specified time. Our remodel clients include many homeowners and commercial business owners throughout San Diego’s North County. There is no charge for full remodel estimates, and for lighter construction needs, we will consider an hourly rate. We are fully licensed, bonded and insured - CA License #868178. 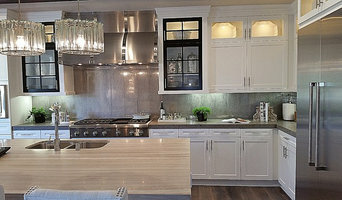 Specialties include, but are not limited to, cabinetry and millwork, all types of countertops from granite to Caesarstone to quartz and any other desired types of materials for kitchens and bathrooms, any variety of flooring choices. We are experienced with demolition, installation, framing, and finishing, such as eliminating load bearing walls to open up floorplans. We can move electrical and plumbing to accommodate redesigned floorplans as well. 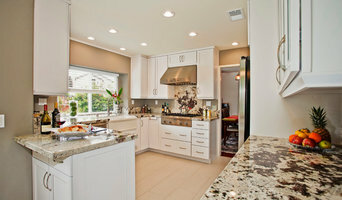 See our photo gallery to view some of our more recent remodels. CREATIVE CONSTRUCTION + DESIGNS INC.
Creative Construction + Designs, CCD, is a Design Build construction company, lead by craftsman & draftsman Robert D. Griffin. Robert has created a team of working professionals such as architects, interior designers, craftsman, tradesmen, artisans and venders who work in harmony, to create each clients Dream Home. Robert has created a logistical process he calls "the journey" that leads to a successful and completed project where "Creative ideas come to Life". Get the bath of your dreams in as little as 2 days at 1/2 the price of traditional bathroom remodeling projects. 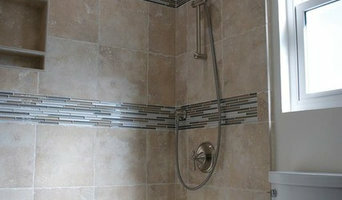 Bath Planet specializes in 2 day bathroom make overs. We primarily work on the wet area of the bathroom but can also install flooring, vanities, toilets and cabinets. Convert your old tub to a beautiful walk in shower and update the look of your bathroom. Painting and drywall are also available. Get the look of granite, tile, stone or marble for about 1/2 the cost with lifetime warranty and no maintenance. Bath Planet is the only bathroom remodeling company backed by the Good Housekeeping seal. We stand behind our 100% satisfaction promise and offer a lifetime warranty and 2 year money back guarantee. Our company prides itself on reliability, integrity and quality work. When Coastline Construction & Development, Inc. is hired, we make it a point to provide the highest level of customer service. We work with both residential and commercial clients, and apply the same attention to detail regardless of project size or complexity. Call today for your free estimate ($300 estimate fee for insurance claims, can be applied toward any work we do). We look forward to earning your business! Thank you! *Authorized Dealer of Shaw Floors* Our showroom, located in the heart of ORANGE COUNTY, RANCHO SANTA MARGARITA, is fully stocked with product samples to help you make an informed choice about your next Flooring, Kitchen, and Bathroom project. Best of all, you will get an opportunity to meet one of our skilled account representatives, who will work with you from the moment you walk in the door until your project is fully completed. It is all part of our commitment to service the kind of commitment that can only come from over 17 years of successfully serving Orange County's flooring, kitchen and bathroom remodeling needs. At Inline Tile And Stone, we've built our livelihoods on remodeling people's homes. From the simple to the lavish, we've experienced it all and we can help you every step of the way. No job is too small or too big for our knowledgeable crews. We've happily done it all for 20+ years now! We believe in quality. Part of the beauty of my line of work is the ability to do something truly unique and refreshingly different every day. Anderson’s Floors, Kitchens, and Baths. You Dream It. We Build It. Anderson’s Floors, Kitchens, and Baths is a family owned business with Mark Anderson, a former CPA, as the owner and President. The business began in 1988 in Fountain Valley as Tile & Carpet Unlimited. The business was moved to Laguna Niguel 2005 and the name changed to Anderson’s Floors, Kitchens, and Baths to reflect the fact we do full kitchen and bathroom remodels in addition to flooring. Mark Anderson has strived to create a professional organization that focuses on high service and quality products and installation.